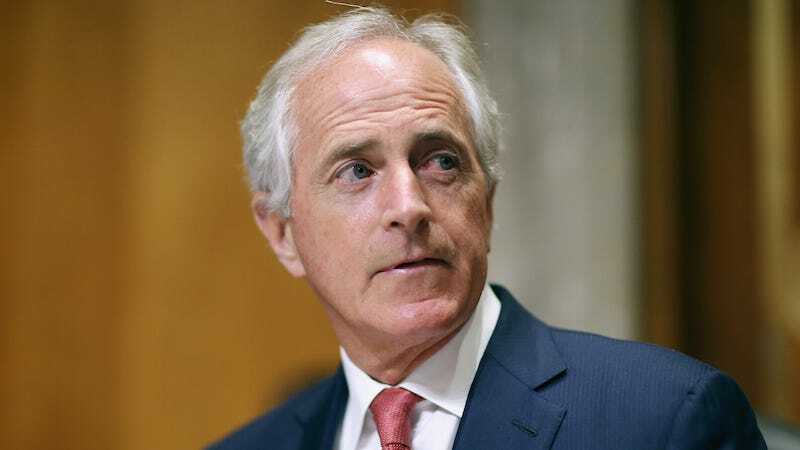 I bet Tennessee Republican Sen. Bob Corker feels very bashful after accidentally failing to disclose millions of dollars earned since becoming a senator in 2007. Especially since he is a high-ranking member of the Senate Banking Committee! That is so embarrassing for him! On Friday evening, Corker filed a number of amendments disclosing a number of omissions to his financial reports, after the Wall Street Journal questioned him about “some irregularities” in his earlier reports. Corker, who is the third-ranking Republican on the Senate Banking Committee, did not properly disclose at least $2 million in income from investments in three separate hedge funds in Tennessee, as well as millions of dollars in income from commercial real estate investments because of an accounting error, and millions of dollars in various other assets and income from transactions. Congress doesn’t penalize its members for filing amendments, because it doesn’t want to discourage them from fixing mistakes. Still, Anne Weismann, president of the Campaign for Accountability, told the WSJ that she was seriously considering filing an ethics complaint. “You can’t just disclose once you get caught,” she said.